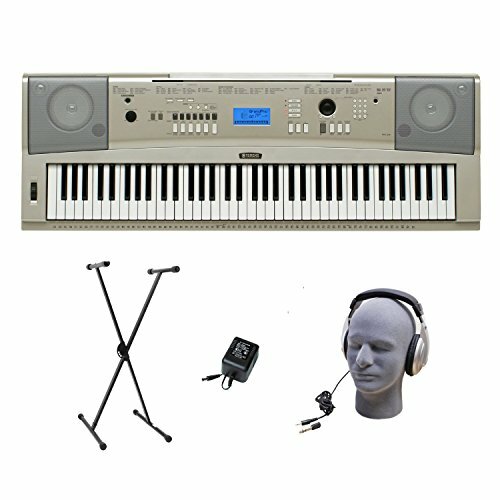 A digital piano is a compact instrument that can range in price from under $100 to several thousands. The quality of equipment, the way the samples sounds, the cabinet, the speakers and how realistic the digital keyboard feels all determine what the price will be. Many digital keyboards have only normal piano sounds but many also include additional voice and let you play multiple layers of beats and play simultaneously. We researched the best digital keyboards and have summarized them below. There are links so you can order the one you prefer right away. 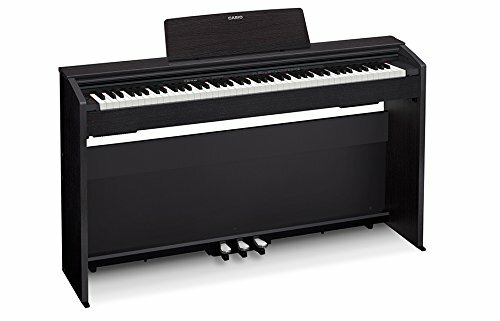 Weighted keys, instead of graded keys and the quality of this digital piano make it very realistic. It feels like a real piano when you play so if you will transitioning over to a real piano should never be a problem. It has some weight to it and it doesn’t feel like it’s a fake children’s keyboard like many do. 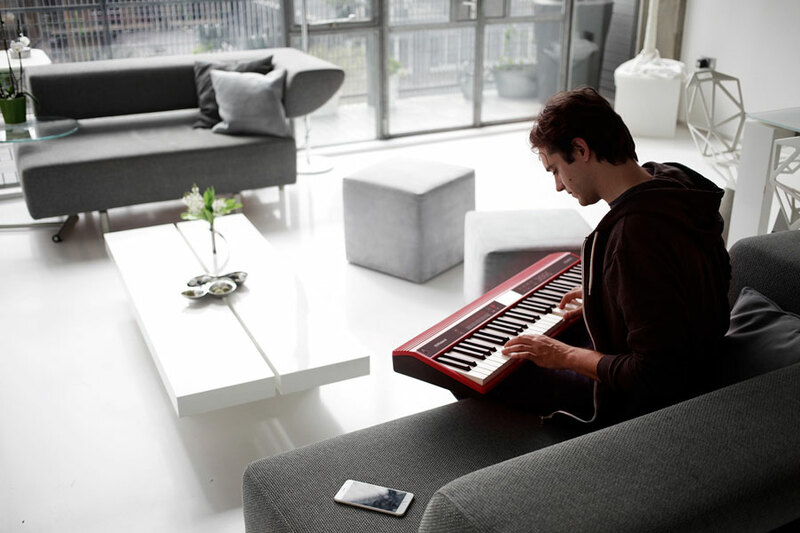 The keyboard is full size with 88 keys and the sound quality is pretty good for a portable piano. It would make a good keyboard for practicing and preparing for grand piano concerts and because he has a nice look to it, you will be proud to play for an audience. The speakers are built in and there are multiple outputs so you can hook up your amps or headphones. This 76 key piano pack is priced reasonably and has most everything you need in a digital piano. It would be perfect for professional musicians who need a portable option for practicing or for a student who plans on transitioning to a grand piano later on. The keys are “non” weighted and require only a light touch with is graded. There are lights on this unit so playing the piano in style in dark is possible and the displays are back lit. The sound is impressive and of course you are able to play in Grand Piano mode with the touch of a button. It has the ability to be plugged into your computer for saving or downloading songs and it also has a USB and flash ROM. This premium pack option also comes with headphones, stand and power pack so you can start your masterpiece right away. This 88 Key Touch Sensitive Digital Piano is our favorite. It’s pricey but well work the cost as it will sound like you are playing a grand piano in style with the multiple Layer Grand Piano Samples heard in stereo.The PX-850 will provide you with the ultimate experience like you are behind the keys of a grand piano with the ability to add multiple instrument tones, multiple polyphonies and grand expression. It is lightweight and designed to resemple a real piano in sound and you can even keep the lid fully or half ope if you wish; depending on which way you want to hear your masterpeice. It has speakers that sound like you are at a live concert multiple outputs and a USB so you can easily connect to your computer or other sound equipment. The keys are an ivory and ebony color so they look realistic. It’s really the very best keyboard we reviewed. Click on the link to learn more of the specific details about this digital piano and save tens of thousands of dollars if you purchase one of these instead of a real grand piano.